Enjoy the simple beauty and richness of natural stone in your bath. Designed for narrower spaces, the Sanremo Collection'stransitional style and polyurethane-protected solid wood Espresso veneer finish is the definition of sophistication. 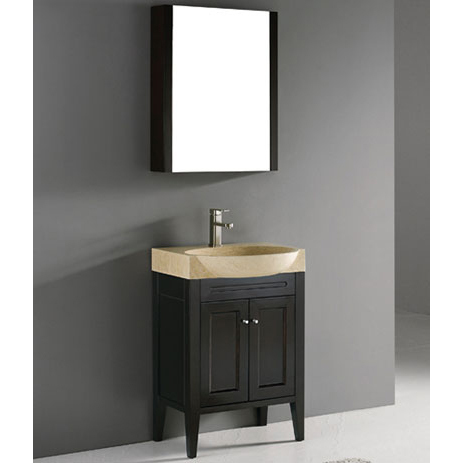 Complete with a beautifully sculpted, fullsize Roman Cream stone basin, soft-closing cabinet doors, and softly tapered legs, it's sure to add a sense of quiet beauty and relaxed charm to your home.